Raheem Sterling is already England's best player and frightens defenders in the same manner as Manchester City and Spain star David Silva, according to Jamie Redknapp. Sterling has enjoyed a meteoric rise since breaking back into the Liverpool team midway through their surprise title challenge last season and, at 19, has already established himself as a key figure for club and country. 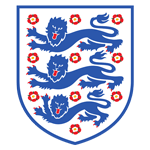 The teenager started in the No.10 position and was involved in both goals as England kicked off their Euro 2016 qualifying campaign with an impressive 2-0 win in Switzerland on Monday. And in his column for the Daily Mail, former England international Redknapp said of Sterling: "He is such a weapon for England and Liverpool. He is now our best player - aged 19 - and defenders are frightened of him. "Raheem Sterling is England’s David Silva. He doesn't manipulate the ball like the Spaniard, but he can play between the lines and he has something Silva doesn't have: destructive pace. "The pass he delivered for the [opening] goal was with his left foot and I can't see a weakness in his game. Credit to Brendan Rodgers for developing him and he will get better." Sterling initially featured as a winger for Liverpool but has since been utilised in a more central creative role for club and country, and Redknapp was pleased to see the youngster occupy a position behind Danny Welbeck and Wayne Rooney on Monday. "England have to play him through the middle. That's where the best players play," Redknapp added. "Get him on the ball and facing up to defenders. He will win free-kicks and penalties and he will score goals."